Home > Who IS Cherry Capri? 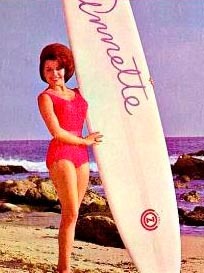 Julie Andrews, Ann-Margret, Helen Gurley Brown, Batgirl (Yvonne Craig), Sandra Dee, Patty Duke, Jeannie (Barbara Eden), Agent 99 (Barbara Feldon), Gidget (Sally Field), Annette Funicello, Audrey Hepburn, Mrs. Carol Ann Brady (Florence Henderson), Judy Jetson, Candy Johnson, Rock star mom Shirley Partridge (Shirley Jones), Movie Star Ginger Grant (Tina Louise), Jacqueline Kennedy, Peggy Lee, Tina Louise, Samantha Stevens (Elizabeth Montgomery), Mary Richards and Laura Petrie (Mary Tyler Moore), CatWoman (Julie Newmar version), Uhura (Nichelle Nichols), Mary Quant, Nancy Sinatra, Sister Smile (The Singing Nun), Connie Stevens, and That Girl – Anne Marie (Marlo Thomas). Or to put it in current day characters… Imagine if Martha Stewart got together with Pee Wee Herman and you’ve got a glimpse into Cherry’s psyche! What exactly does Cherry Capri do? 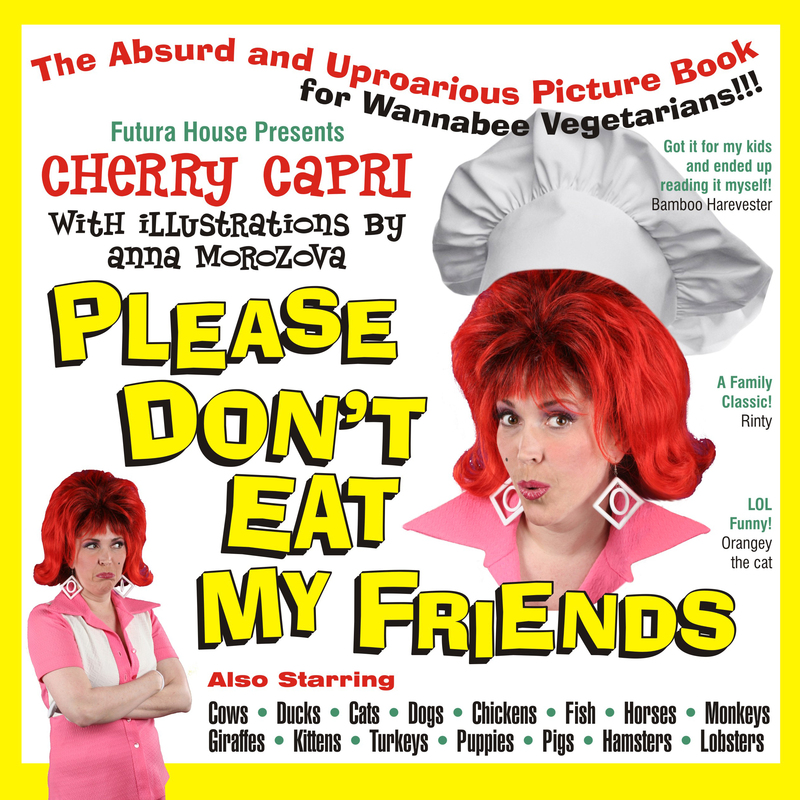 Cherry is an Author of a Hip and Healthy UN-cookbook, Eat Like Eve! and WONDERFUL Books for Children of all ages. Cherry is an Advice Columnist offering guidance for Manners, Modern Lifestyle, Etiquette and Household Hints. She currently writes for CA Modern Magazine. Cherry is an Entertainer who has appeared at major pop culture events around California. She’s a Fine Artist in the Pop Surrealist / lowbrow art scene who has exhibited alongside Tim Biskup and Mark Ryden. She’s a Style Diva with a wild new way of putting old favorites together. PLUS she’s a Hip Healthy Hostess providing her party and catering services for friends like Bubbles the Artist (Allee Willis), and SHAG. Cherry is not trapped in the past, she just likes the way it looks! Cherry uses the Mid Century Modern style to guide her with an eye towards the future. Cherry downloads Nancy Sinatra on her MP3 player. Cherry has a flat HDTV where she streams the Retro TV. Cherry decorates with off-the-shelf merchandise, but with her own special flare!